Pastie Premieres: A Burlesque Variety Show! 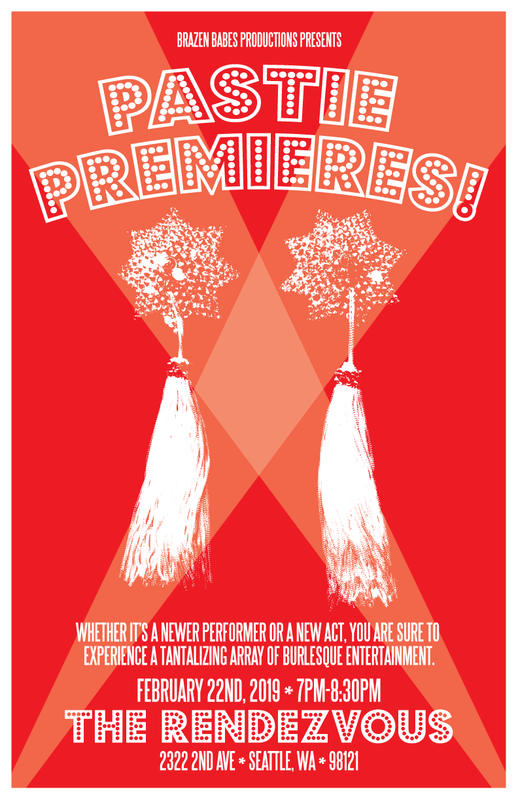 Brazen Babes Productions presents Pastie Premieres: a Burlesque Variety Show! Whether its a newer performer or a new act, you are sure to experience a tantalizing array of burlesque entertainment. with Whisper DeCorvo as our illustrious emcee!